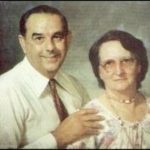 The mission was commenced in March 1978 by Beres and Grace Northcott, in Brisbane, Queensland, Australia, with the set purpose of teaching basic Bible truths to children, teenages, and their families in Queensland. From those early small beginnings, the Bible Club grew to many thousands of members throughout the whole of Australia and Papua New Guinea who regularly receive lessons. Beres was also instrumental in establishing other Mailbox Bible Clubs in Romania, New Zealand, Singapore, Zimbabwe, and other countries. Grace Northcott was called home to be with the Lord Jesus Christ in 2000 and Beres retired from Q.M.B.C. In 2008 Berres was also called home to be with the Lord Jesus Christ. In 1990 Gary and Joanne Akehurst, moved from Sydney to Brisbane as Office Manager to continue to lead the work forward, along with the team of dedicated volunteers. Over the years the work has expanded to include students in Papua New Guinea, The Solomon Islands, Vanuatu, Fiji, Thailand, Pakistan, and Ghana, with a few members from many other countries. In 2008 Gary and Johanne Akehurst retired from the work due to Gary’s ill health. QMBC is above all a work of the Lord, so while we wait on Him to provide a replacement for Gary and Johanne Akehurst, the work continues on in the hands of the volunteers and with the Lord’s help. Further lessons have been added to the existing lessons, and more are planned. See the Courses page for details of the new “Panaroma of the Bible” course that has recently been added. Many adults are now being blessed by studying the lessons too. Please do not let your age disuade you from joining. The same good news God has for children, He has for adults also. We would value your prayer and support for this vital work of teaching the Truths of the Bible to this and coming generations in the will of the Lord. Queensland Mailbox Bible Club could not function without it’s team of volunteers. Each one is dedicated to sending out the Gospel of our Lord Jesus Christ to a needy world. We thank the Lord that He has provided them all for over the 40 years that QMBC has been operating.